It’s officially April, and by now, the vast majority of you are rounding third and heading into the home stretch of your spring semester. The win is yours for the taking, but before you can celebrate at home plate, it’s safe to say there is still work to be done. During the broadcast, Charles touched upon the power of the three-item to-do list. By limiting your to-do list to the three most important tasks that you want to accomplish, you’re forced to prioritize what’s most significant and have laser-like focus towards their completion. To read more of his to-do list tips, please click here. Another important plan for boosting productivity and being at the top of your game, is what you do during your downtime. To succeed in school, at work, or in life, you must deliberately schedule time to refuel and prepare for the week ahead. The easiest way to avoid burnout is by optimizing your weekends. Think about being as intentional with your weekend as you would with your three-item to-do list. As Friday approaches, visualize what you want to get out of your weekend. What will be time well-spent? What feeling do you want to have heading into the new week? 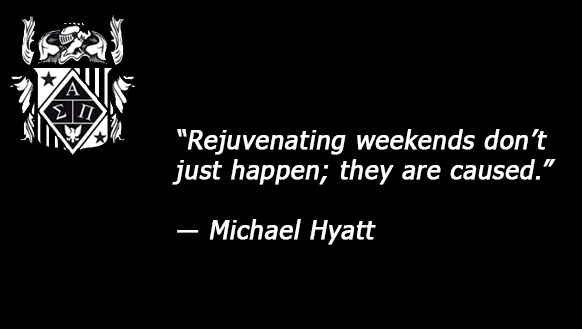 Use the Weekend Optimizer Worksheet, a great resource by best-selling author and productivity expert Michael Hyatt, that makes it easy for you to get the most out of your weekends. This month, I encourage you to harness the power of the three-item to-do list in your daily routine, as well as in your weekend preparation. You’ll be surprised what you can accomplish when your effort is both focused and intentional. The Spring 2017 submission period closes Monday, April 10, 2017. 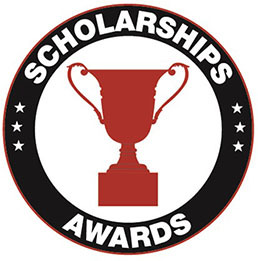 To see all of Fall 2016's winners, click here. 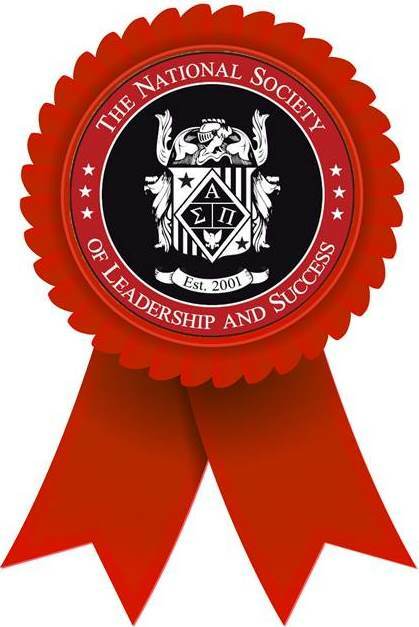 *If the chapter has more than 12 E-Board members, the $1,200 will be distributed evenly to all members. 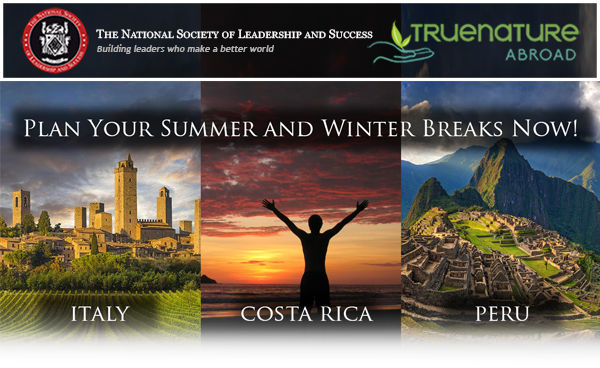 Over the past five years, the Society has partnered with True Nature Education to invite members to participate in an immersive travel abroad opportunity to Costa Rica, which embodies the essence of service leadership. This year, we are very excited to expand our program to Peru and Italy. For the third consecutive year, Mercer University’s debate team has the top two speakers in the Georgia Parliamentary Debate Association (GPDA). 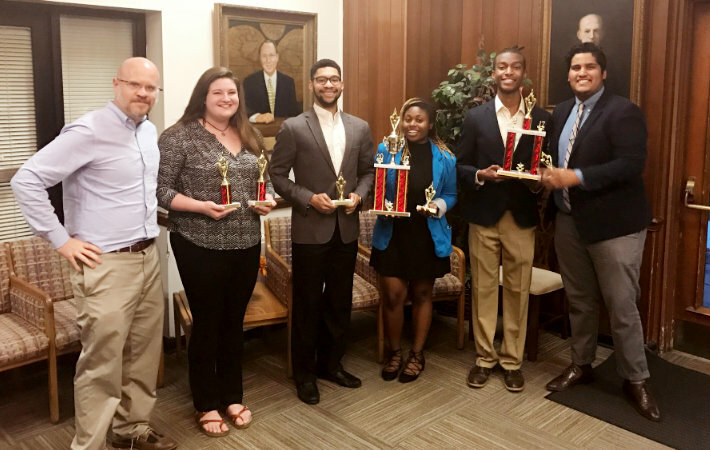 Mercer University - Macon Society Chapter President Kyle Bligen was awarded first-place speaker at this past weekend’s GPDA state competition in Valdosta, while fellow junior Jaz Buckley finished second. Mercer is the first institution to hold the top two individual speaker awards at the state level for three straight years. On Tuesday, March 28, 2017, Trevor Noah spoke at the New Jersey City University School of Business. Trevor Noah didn't have it easy as a kid. He remembers not being able to walk alongside his parents in public, living in small spaces, and his mother looking for ways to save money on food. There was one day, Noah said, he started eating caterpillars for dinner as a source of protein. "She didn't say 'times are tough so this is what we're eating,'" he recalled. "She was like 'aye you ever try to eat caterpillars?' I was like 'oh hell yeah, this is an experience, let's do this.'" It was that positive attitude, Noah told a packed room at New Jersey City University, that helped him rise to fame as host of The Daily Show. 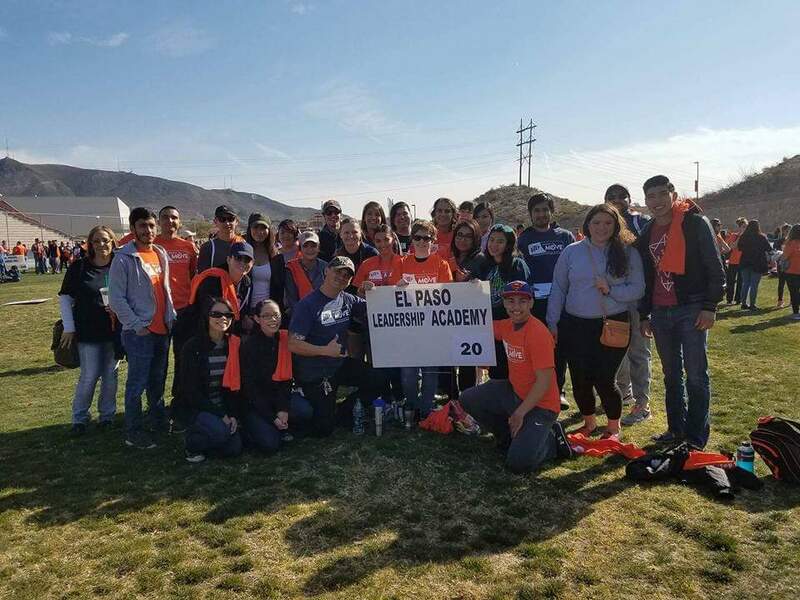 The University of Texas at El Paso (UTEP) Society chapter actively encourages its members to be leaders who will make a better tomorrow by participating in collaborative events and giving back to the El Paso community. On Saturday, March 4th, the Society chapter at UTEP held a service event called Project Move. 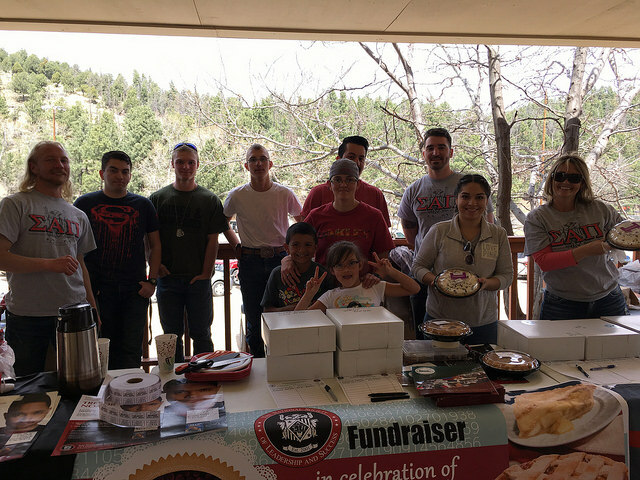 The Society chapter at Eastern New Mexico University-Ruidoso recently held its annual Pi-Day fundraising event. The event was held at a local theme park that features zip lines and snow tubing. In the past, this event had generated a profit of $54 through selling pies. This year, the chapter raised about $250. Local bakeries also got involved through holding a silent auction as well as selling individual slices. The fundraiser was such a success that they ran out of pies before the event was through.